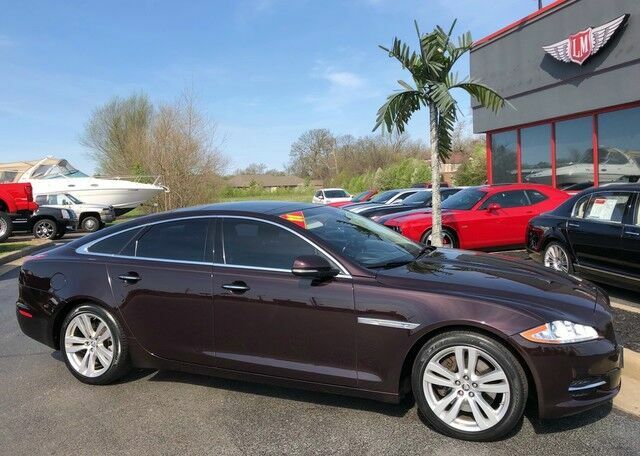 2011 Jaguar XJ equipped with a 5.0L V8, 6-Speed Automatic Transmission w/ Paddle shift and Sport mode, Rear Wheel Drive, 8 Touch Screen Display, Navigation, Back up Camera, Leather Seating, Heated and Cooled Front Seats, Heated Rear Seats, Bluetooth, 600W Stereo w/CD/DVD/Hard Disk Drive media Storage, Power Tilt/Telescoping Heated Steering Wheel, Panoramic Roof w/ Power Tilt/Slide, Blind Spot Monitor, Burl Walnut Veneer Interior Trim and So Much More! With 68,725 miles and Priced to Sell at $18,900! Ask us about our our extended warranty available for that extra peace of mind to an already quality build!